Found 3 file extension associations related to Two Worlds II and 3 file formats developed specifically for use with Two Worlds II. 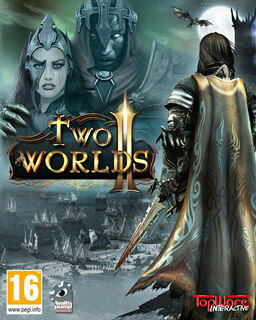 Two Worlds II is an epic RPG experience and much more than a sequel. The experiences gained during the design phase of its predecessor allowed for the creation of an entirely new kind of quality. GRACE, the proprietary, multi-platform engine built specifically for the project, utilizes the latest technologies and the creators' original solutions, thus allowing for the creation of a rich and breathtaking world. In addition, the engine has been optimized to allow for fluid display of the picture and no quality loss, both on the consoles and on the PC, with a vast selection of possible configurations. If you need more information please contact the developers of Two Worlds II (Reality Pump), or check out their product website.